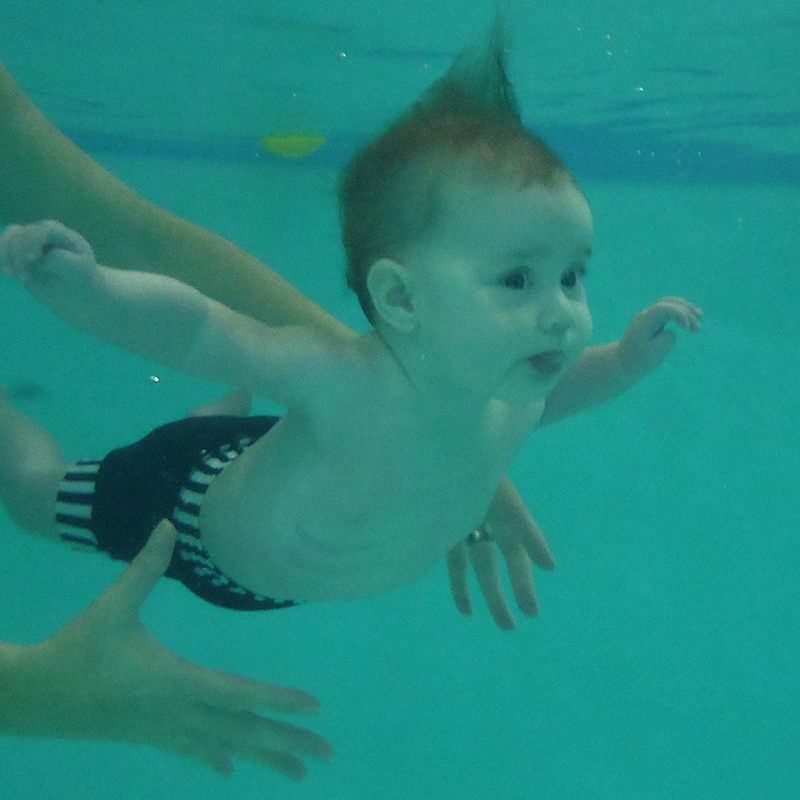 From the outset, babies will be encouraged to develop life saving skills, such as holding on to the poolside and raising their heads above the surface, and floating on their backs. Through a program packed with games and songs babies quickly increase their ability to propel themselves independently through the water both vertically and horizontally. As the babies progress through the levels they will be taught to turn around underwater, resurface and hold on, sitting dives, basic back stroke and gliding, all whilst having the utmost fun! For toddlers (14months +) who’s diving reflex may naturally have diminished, we use a combination of toys and floats, along with familiar songs and games to allay their initial fears and increase confidence, gaining basic aquatic skills along the way.